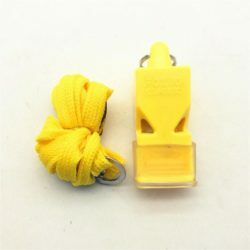 Safety Whistle - Extra Loud! The famous fox40 whistle fox is used the world over by officials in the NCAA, NBA, NFL, NHL and FIFA. This whistle can be used to call for assistance in times of need on the river. All PFDs/Lifejackets must have a whistle attached for your safety on the river.